ZealousWeb delivered insights on technology trends for the organizations to revolutionize their business. 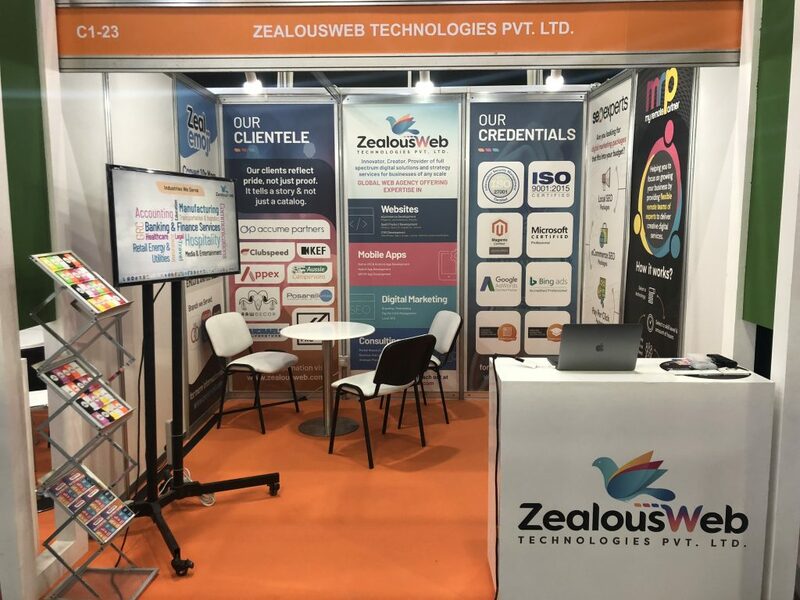 Ahmedabad, India – (October 20, 2018) – ZealousWeb participated as one of the exhibitors at the 38th GITEX 2018 Information Technology summit for the very first time. 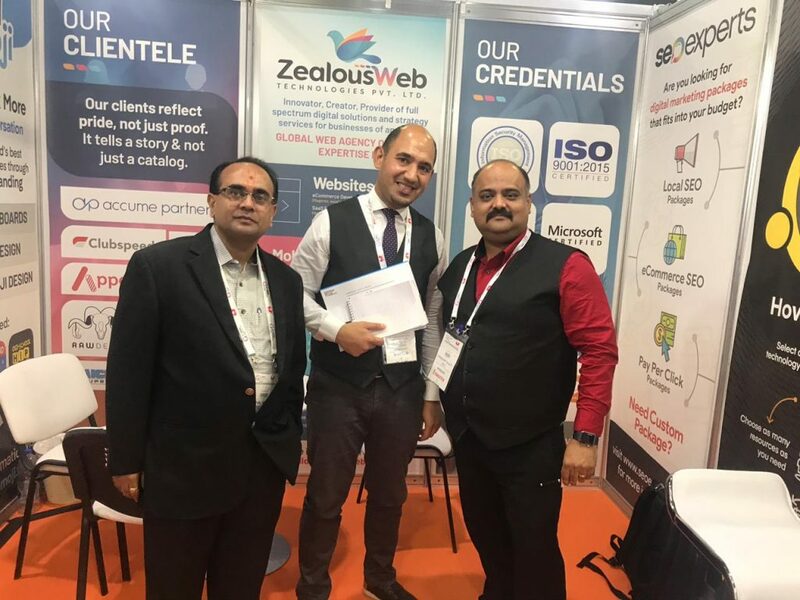 Our leaders – Kandarp Bhatt(Founder and CEO), Vishal Bhatt(Co-Founder and CFO), and Keyur Dave(COO) visited the Digital Summit to manifest our key competencies in Hall 1, Stand C1 23 from the 14th to 18th of October at Dubai World Trade Center, UAE. Happily serving in 64 countries and work across 14 industries; we devised to extend our wings in the GCC market. The best option to put the first step in this market is to take part in the GITEX. GITEX has always been a platform that emboldens learning and understanding of innovative solutions in the IT landscape as well as networking with the industry partners and specialists. It provides an opportunity to try your hands at the latest innovations in the industry and how it changes business. It takes you on a multi-sensory experience of Future Urbanism across 21 halls with 4,000 exhibitors across 24 sectors. 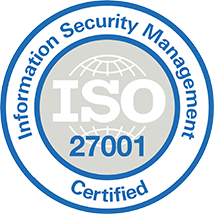 ZealousWeb presented its capabilities in the areas of Web development, Mobile Application Development, Digital Marketing Solutions, and IT Consulting. The focus of GITEX this time was to create a global movement that encourages entrepreneurs to access the best of technologies to transform their vision into a reality. 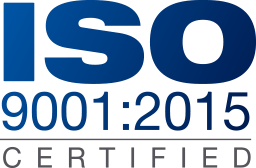 ZWT is one of the leading providers in IT services that are perfectly suited for StartUps and conglomerates both. Our booth was highlighted in a very creative, captivating and interactive manner. Providing constant communication and support is a great way to start a healthy relationship. Our leaders were continuously active on social during the event. Visitors were also able to get hands-on with the firm’s latest digital technology implementations at the event. Our sales team juggled multiple activities and succeeded to schedule more than 42 meetings. We signed 10 MOU at Zealousweb booth. Amongst them, our development team will start working for the 4 potential clients from November first week. 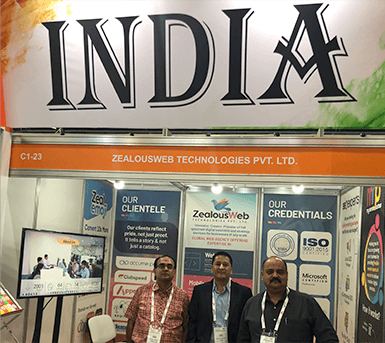 As a part of an Indian delegate, Keyur Dave has shared his experience that how ZealousWeb has participated in this highly influential event this year, presenting and displaying our services. Providing digital services, our team also visited other exhibitors booth to make sure that no speck of innovation is left unexplored. Got a chance to know, learn, and share each other’s opinions and ideas on various business industries. 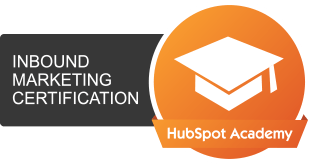 ZealousWeb continued to pivot into innovation through its commitment to implementing new and relevant technologies to support the growth and digital advancement of startups in the region the same way it’s doing in the other 64 countries. According to influencers over there, the mob was low this time but ZealousWeb team had a great experience as our intention of participating in GITEX was designed to help all businesses and organizations step over the threshold and spike their claim in the intelligent world. Thank you to all those who attended our booth this year, we hope you enjoyed the experience. Together with the power of innovation, we can unlock the businesses’ vast potential for digital transformation.